Join us for Forensics Camp! Ages 4-12. $40 per camper. Early drop off and pickup available for an additional $10. 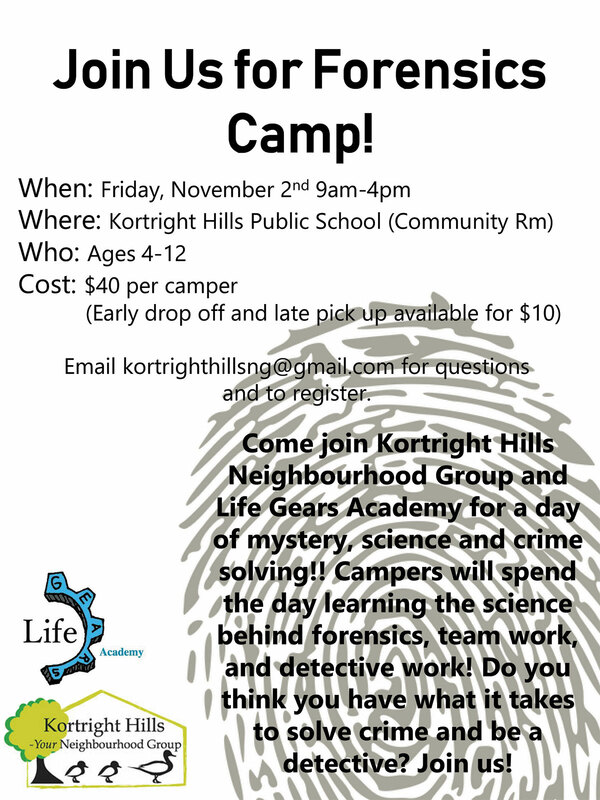 Come join KHNG and Life Gears Academy for a day of mystery, science, and crime solving! Campers will spend the day learning the science behind forensics, team work, and detective work. Do you think you have what it takes to solve crime and be a detective? Join us! Email kortrighthillsng@gmail.com for questions and to register.